BREAKOUT BO55QU uses break out strategy based on set time frame. 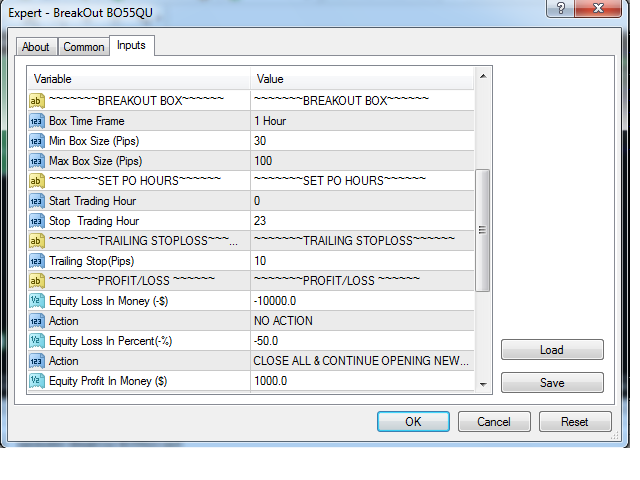 It places penting order at high and low of the break out box. It is designed for easy to use with target profit and capital protection. Deposit($)- amount of money deposited for calculation. Max Order- maximum number of positions per side. Slippage- maximum price slippage allowed. 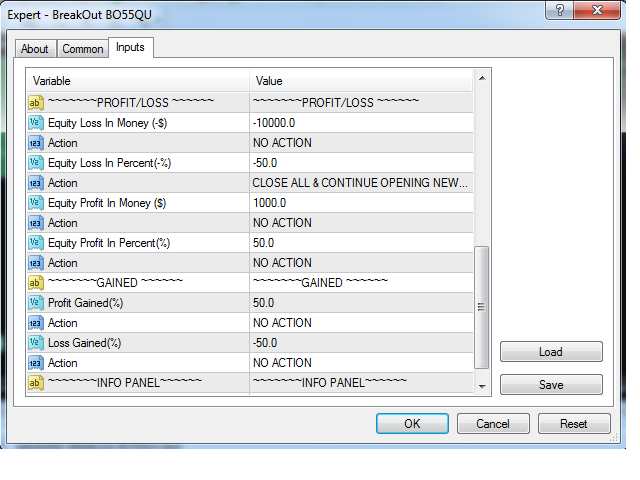 Box Time Frame- user preferable time frame. 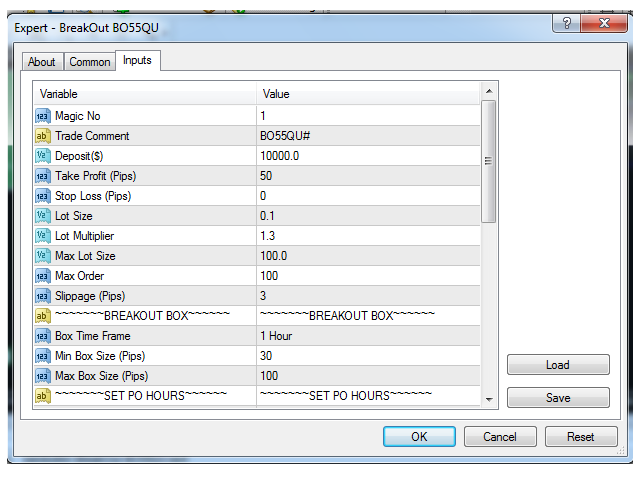 Min Box Size- minimum size of high minus low of the breakout box. Max Box Size- maximum size of high minus low of the breakout box. Start Trading Hours- start hours (0-23). 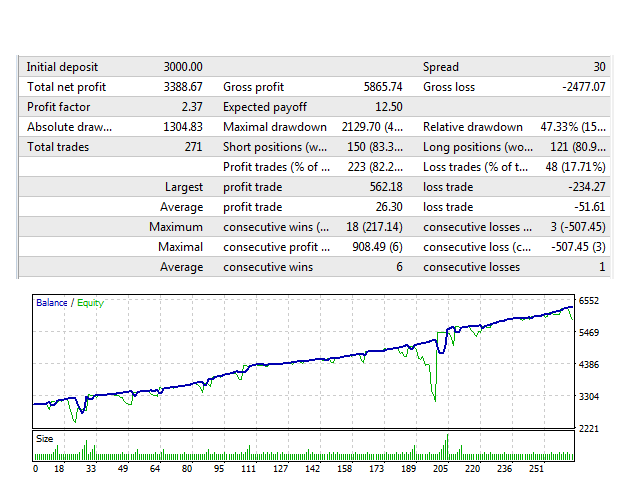 Stop Trading Hours- stop hours (0-23).